RobWel is your full-service project partner. We are able to complete projects on site or at our extensive fabrication facilities in Meadow Lake, which ever best expedites the demands of our customers. 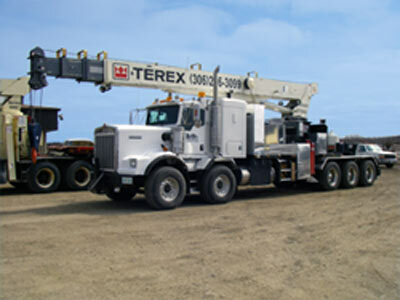 We have a large fleet of service vehicles to manage project requirements and maximize site efficiencies and minimize delays. 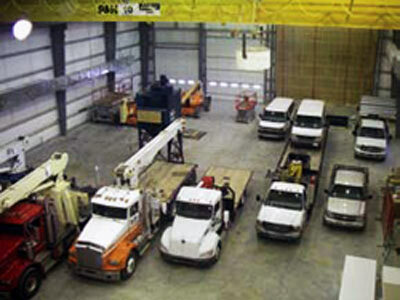 RobWel owns all of its equipment and facilities, so is able to mobilize quickly to meet customer demand. In conjunction with our sister company, IWL Steel Fabricators, RobWel has access to an additional 30,000 ft² of fabrication space and 5 acres of module production and laydown area. RobWel has certified instructors in safety training and equipment training. RobWel’s 14,000 square foot steel building that was completed in early 2009. In conjunction with our sister company, IWL Steel Fabricators, RobWel has access to an additional 30,000 ft² of fabrication space and 5 acres of module production and laydown area. RobWel’s loyal and experienced staff of over 200 employees and contractors work together to accurately and efficiently complete projects. RobWel’s new building with five and ten tonne cranes enables RobWel to complete large projects including modular fabrication and steel beams. The new facility provides RobWel with a closed working system for fabrication projects ensuring close supervision and quality control. RobWel has a fabrication and machine shop located in Meadow Lake, Saskatchewan, as well as an office and shop in Conklin, Alberta. RobWel also has employees doing contract work at various mining and oil and gas sites in Saskatchewan and Alberta.